View our selection of Ridgeway Grandfather Clocks. 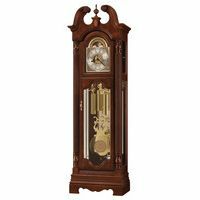 Ridgeway's Curio Grandfather Clocks are one key part of the Ridgeway Clock product grandfather clocks product line. 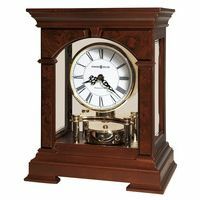 1-800-4CLOCKS is proud to be Authorized Dealer for Ridgeway Grandfather Clocks, and to showcase their full line of clocks. Please shop or view online today! Ridgeway Clocks began as The Gravely Furniture Company in 1926 and started producing Grandfather Clocks exclusively in 1960. This makes Ridgeway the oldest continuously produced grandfather clock brand in the United States. Tens of thousands of Ridgeway Clocks since 1960 are part of American families' legacies to be handed down through generations. - The world's first clock that plays "God Bless America" "America the Beautiful" and Traditional Westminster chimes. - Never-Wind: The industry's only synchronous grandfather clock - all the beauty of a traditional weight-driven clock without the need to wind it every seven days. Ridgeway Clocks - not only America 's oldest Grandfather Clock brand but America 's most innovative. The Ridgeway Clocks Furniture Company has embraced a core philosophy to deliver a quality product according to our standards and your expectations. We strive diligently for continuous improvement throughout our organization and this results in a product that you can be proud to own, display and use in your home. Ridgeway Furniture Company is committed to servicing its authorized dealer base, including 1-800-4CLOCKS, with exceptional performance. This allows 1-800-4CLOCKS to satisfy your desires and needs in a professional and timely fashion. 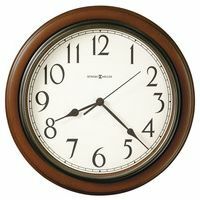 Ridgeway Clocks recognizes you as the ultimate consumer and will continually strive to insure that your needs are met. Clocks are a handcrafted product and lead times can vary. Ridgeway Furniture Company has directed millions of dollars and man hours into production and inventory so that your purchases can be immediately fulfilled. If there should be a delay in satisfying your purchase, Ridgeway and 1-800-4CLOCKS will be in regular communication with your so that you receive timely and truthful information. Proudly still made by Americans for the World. Most all of the mechanical movements in Ridgeway Grandfather Clocks are made by Kieninger in Germany, and the Grandfather Clocks cases are Made in the USA of solid wood in Zeeland, Michigan. View our selection of Ridgeway Grandfather Clocks.